Large ranch with partial 2nd floor in highly desirable East Hill neighborhood. Property is partly in Englewood (65%), partly in Englewood Cliffs (35%). 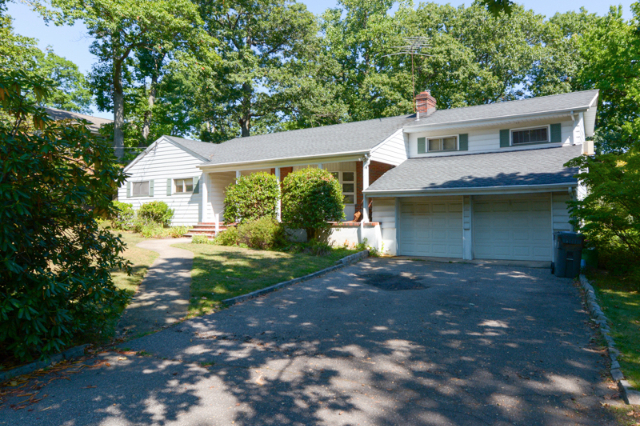 Very large lot compared with other lots in Englewood Cliffs – 131&apos; wide and 169&apos; deep, one-half acre. Spacious entry foyer, living room with hardwood floors and fireplace, eat-in kitchen. Step down to family room with sliding glass doors to in-ground swimming pool. Family room also has a full bath for use before and after swimming. The home has three roomy bedrooms and a hall bath on the first floor. Up a few steps you&apos;ll find a 4th bedroom/office with full bath. The backyard features a deck, two-level patio and swimming pool in a private setting.